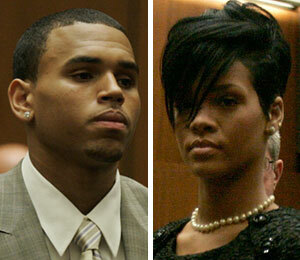 Chris Brown will be sentenced on Wednesday, and Rihanna will be present in the courtroom. RiRi's lawyer tells People magazine the "Umbrella" songstress will ask the judge to relax her current restraining order against Brown. TV Judge Jeanine Pirro tells "Extra" this is Rihanna "signaling to Chris Brown, the judge and the public that she wants a relationship with Chris Brown," adding, "I think it's very sad. She should cut the ties with him and recognize she was truly a victim." Brown is expected to be sentenced to five years probation and 180 days of community hard labor to be served in Virginia. He will also complete a year of domestic violence classes and pay fines.